What is it about some men and women? They grow older, years going by, like the rest of us and yet they seem to look much younger and physically often act much younger. There are some interesting definitions in regards to age; getting old is that age sometimes called, 1) the young old, which starts about 65-74, 2) the middle old about 75-84 years and then there are the oldest old 3) those who have attained the ripe old age of 85 and above. Ripe is sometimes a great expression for these elders. However, old is old and after the age of 65 much changes in your body. At some point you just have to get used to it. However, anyone who is over 65 already knows that their body is definitely aging and sometimes not so gracefully, sometimes you start walking stooped over and your waistline begins to hang over your pants. So what can anyone do? Unfortunately, the cure is to have taken steps to combat aging when you were 20. Not having done that, it is important as soon as you figure out that your body is falling apart to do something. That something is diet and exercise. We are not talking about diet as if you are trying to lose weight but diet as in 1) what do you eat; 2) when do you eat it; 3) why do you eat it; 4) how much do you eat; and 4) what can you change. And exercise ?do some. HERBAL Treatments are listed in the ?b>Herbal Studies Course; in particular there is a chart at the beginning of chapter 25 that lists 75 herbs and their essential oils and discussions of usage. You can also refer to the Uses in the article ?b>Essential Oils/Herbal Uses. Rosemary tea and Jasmine (green) tea should be drunk daily as a beverage. They can be taken together. These herbs are both antioxidants and anti-aging items. 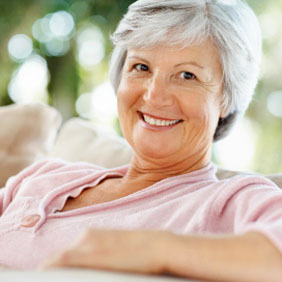 They will slow the aging process down and encourage the current good health of your body. Add any other herb to your green tea that will modify an existing condition such as using Marshmallow root/Milk Thistle tea for intestinal troubles, Marshmallow flower or Mullein flower tea for respiratory troubles, Marjoram/Hawthorn and Rose tea as a cardiac conditioner, Cinnamon for diabetes, Rosemary and Red root for joints and arthritis, etc. Drink herbal teas every day. You do not need to drink quarts of tea, 2-3 cups per day of any variety of herbs is helpful. Even one cup of concentrated herb tea will be helpful. There are many herb teas, check the ?b>Jeanne Rose articles file for specific ideas. AROMATHERAPY Treatments are used by application, inhalation or ingestion. These are all fully described in the Aromatherapy Studies Course. Aromatherapy treatments include ingestion and application of hydrosols and application of essential oils. Essential Oils: Rosemary, Seaweed, An essential oil kit called Brain Boost is available from Jeanne Rose Aromatherapy (415-564-6785). These oils are excellent to inhale and to apply. It is also called the 'Home & Office Kit'. The kit include a type of Basil that is gentle on elder skin and boosts memory, a particular chemotype of Rosemary for stimulation (mind, hair, stress-relief), two essential oils for digestion and to soothe the digestive tract, two essential oils for the respiratory system and to boost the immune system and Douglas Fir for calming and a good feeling. Rosemary essential oil, the chemotype called ‘verbenone?is the best one to use for the getting old to elderly. We have it available in the 6Stress Relief Kit along with other stress relieving essential oils. Hydrosols: Rosemary, Lavender, Melissa and Bay Laurel hydrosols are all excellent and can be used for skin care, and to stimulate both memory and the immune system. You should use these hydrosols as facial and body sprays and you can also take them internally along with your herbal teas. The hydrosols are very concentrated and 1 teaspoon to 1 tablespoon can be added per cup of tea or water, depending on result wanted. EXTERNAL MASSAGE: Once per week or as often as possible. Use skin care oils like Calendula infused oil and add essential oils that will modify any physical condition that you may have. DIET: Eat a simple breakfast of steel cut oats with a few Walnuts and fruit. Choose the fruit to match the condition. As an example add chopped or dried Papaya for the digestive system, Blueberry as an antioxidant, Apple for more fiber. When you eat breakfast, do not add sugar to your food. Start buying only those foods that do not contain added sugar. Even people who frequent ‘health food?stores will be amazed at how many foods have sugar added to them. Sugar is an addictive substance ?do not eat it or at least consider it only as a ‘once a week special?or occasional delight. Actually, eat everyday one Carrot, one small Apple, one small Tomato and one small Orange. These do not have to be giant size ?these four items will supply the correct fiber and supplements to your diet. Eat green foods, red foods, and other highly colorful foods. These are the fruits and vegetables that contain bioflavonoids, carotenoids and other anti-aging and antioxidant ingredients. Eat oily fish 2-3 times per week, if you are a meat eater ?lamb is a good choice. You need those DHA’s in Omega 3 fatty acids that only come from eating sea fish. You need to remodel your body and brain to be young again. Remember that every time to shop you are participating in agriculture and farming. Choose to shop at a Farmer’s Market where you can directly support farmers with your dollars. You will be supporting healthy agriculture. Buy foods grown organically. Buy from the grower. You may pay a bit more but you will be supporting agriculture and farming by direct contact with the growers. In any case, buy less, eat less, weigh less, be healthier. My book, The Herbal Guide to Food, has great charts and lists of what herbs contain the vitamins and minerals that you want. In addition it has some good family recipes and food information about the herbs. Herbs: Hawthorn berry for the heart, Ginkgo for anti-aging, Bilberry for the eyes, Milk thistle for the liver, Sunflower seeds for the prostate, etc. Vitamins: Omega 3 (1800 mg/day); Co-Q10 is an important antioxidant for the heart and liver, this also feeds your brain; a complete B supplement; Quercitin with bromelain and Nettle works synergistically to provide the body with Bioflavonoids which the body cannot produce alone and helps the respiratory system especially for those with asthma; A, D, E especially for women because of the osteoporosis issue; etc. You are going to have to take a calcium/magnesium supplement NOW to begin the remodeling and rebuilding of your bones. Take 3-6 Bone-Up per day as this provides 1000 mg of calcium perfectly balanced with 500mg of magnesium. This takes time ?at least a year to really show the positive effects. HYDROTHERAPY/SPA: Take Seaweed/Rosemary baths. These two simple herbs have properties that can be absorbed through the water. Take your shower in the morning to wake up but in the evening before bed, at least three times per week take a 25-minute soaking bath with herb Rosemary and a strand of Seaweed. Of course if you have Roses, throw those into the tub ?Roses are sweet, and soothing to the skin. Dried buttermilk does not spoil, is available at your corner store and works great in the tub to relieve itchy skin and to soothe the body and promote skin health. Of course, Oatmeal powder helps soothe the skin as well. 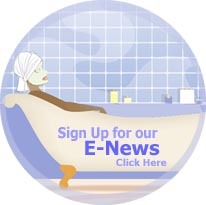 Read the 9Herbal Body Book by Jeanne Rose for more bathing ideas.